She comes most recently from the Liberty Science Center in Jersey City. GREENWICH, CONN.- The Bruce Museum in Greenwich welcomes Megan Brown as the new Manager of Youth and Family Programs. Brown brings extensive experience in museum education, specializing in early childhood and family programming. She comes most recently from the Liberty Science Center in Jersey City, and has also worked at the Camden Childrens Garden, the Franklin Institute of Science, and the Academy of Natural Sciences. She graduated from the University of the Arts in Philadelphia and Flagler College in St. Augustine, FL. Brown is excited to bring her own flair to the Bruces highly regarded science and arts curriculum for young students. I really like that the Bruce is a combination of art and science, Megan says, pointing to Bruce Beginnings as a case in point. The popular weekly program for children ages 2.5  5 is held every Tuesday at 11:00 am and 1:00 pm. Children, along with their caregivers, explore the museums collections and exhibitions through picture books and hands-on activities. Topics rotate between art and science, with upcoming weekly themes such as Drawing Nature, Birds of a Feather, and Water, Water Everywhere. The program is free with general admission. Among other upcoming programs of interest to families with young children is Summer Family Day on July 15, 1  4 pm. Titled Mountain Lions, Tigers, and Bees, Oh My!, the afternoon draws on two of the Bruces summer exhibitions, Wild Bees and the National Geographic Photo Ark. 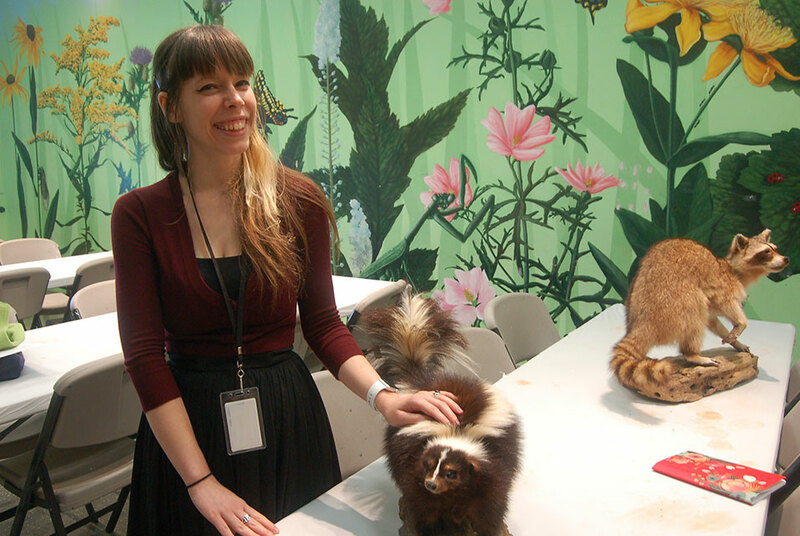 From 1:30 to 3:30 pm, members and visitors will be able to meet and learn about animals from the Stamford Museum & Nature Center with their educators. A performance of To Bee or Not to Bee from Jonathan Mirin of the Piti Theatre Company will take place at 2 pm. (Seating is limited. Tickets for performance will be distributed on a first come, first serve basis.) There will also be STEAM projects taking place throughout the Museum. All activities are free with Museum admission and no advance registration is required.